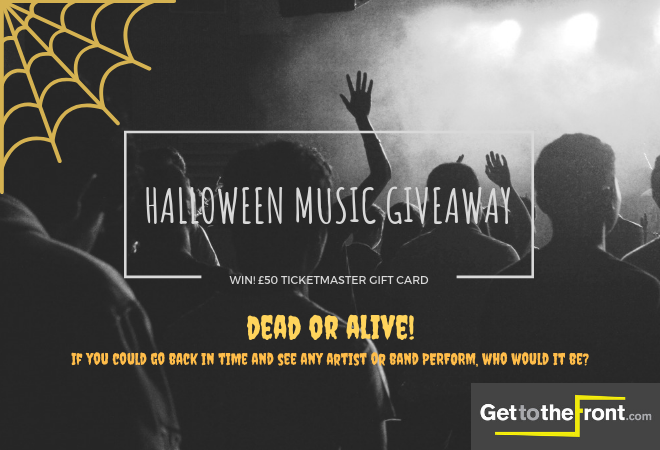 This Halloween we’re celebrating all music icons, DEAD AND ALIVE! If you could go back in time and see any artist or band, dead or alive, perform in person, who would it be? These terms and conditions apply to the GetToTheFront.com Ticketmaster Gift Card Giveaway and entry to the giveaway is in acceptance to these terms and conditions. The winner will be sent out one £50 Ticketmaster Gift Card. The competition winner will run until midnight on 01 November 2018 and the winner will be notified via the social media channels on 02 November 2018. The winner will have 48 hours to claim their prize, after which another winner will be selected.